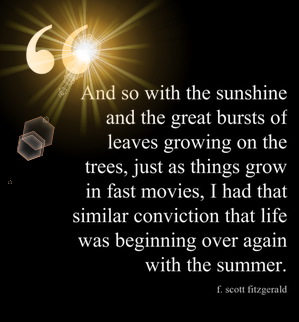 The Summer Solstice has been and gone, ushering in what will undoubtedly be a beautiful season of sunshine. To mark the beginning of the summer with appropriate attention to literary feats, I announced last week that I am committing myself to a new reading challenge – working my way through Time’s Top 100 Novels. I am currently halfway through #100 and feeling that this challenge is the perfect remedy for a rather lacklustre couple of months. So seize this opportunity to find a way to reboot your literary lifestyle and enjoy a fantastic summer! Your such a good writer, Smiling broadly to small happy moments like these. You give some best writing service here. Keep it up! !